With the rise of big data, as well as an expanding array of tools and the constantly shifting expectations of modern customers, the nature of the CMO (or VP of Marketing) position has changed rapidly in recent years — from a role primarily championing creativity to one requiring robust analytical and strategic skills, as well. As a result, alignment with sales has grown progressively more important to CMOs for leading customers through their buying journey. What at one time was necessary for ensuring a consistent, competent customer experience, alignment of marketing and sales is now vital to the bloodline of a business and for mitigating what can be an increasingly complex and costly “leaky bucket” between the two. If you work in the world of venture-funded companies, the importance of alignment isn’t just to maximize effectiveness — investors are demanding it. And they want to see proof that it’s happening. Dan Lyons at Hubspot recently published an intriguing eBook on the topic of CMOs and what investors expect from them in board meetings, featuring questions directed to six prominent venture capitalists and their responses. What is the Cost of Acquiring Customer? (CAC). The whole eBook is worth a read and discusses many other aspects of the CMO role. David Skok, especially, goes on to discuss the importance of aligning sales and marketing in detail (much of which we’ve also been touching on in various resources and discussions). 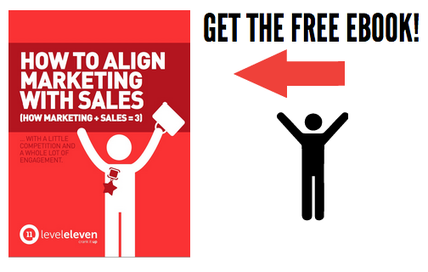 The reality is, in today’s age of marketing and sales, the alignment issue is really taking center stage. It’s unacceptable and costly for companies to be misaligned, and misalignment reflects on the effectiveness of those in leadership roles. CMOs must be especially in tune with how sales operates and align marketing to support those efforts. But sales and marketing alignment is not solely on the CMO — it certainly takes a commitment at all levels — but for CMOs especially, given the inherent challenges and perceptions they face in how marketing value is calculated, the endeavor is worthwhile and investors increasingly expect it. For a CMO or VP of Marketing, being able to align marketing with sales isn't just a goal, it's a demand from investors.